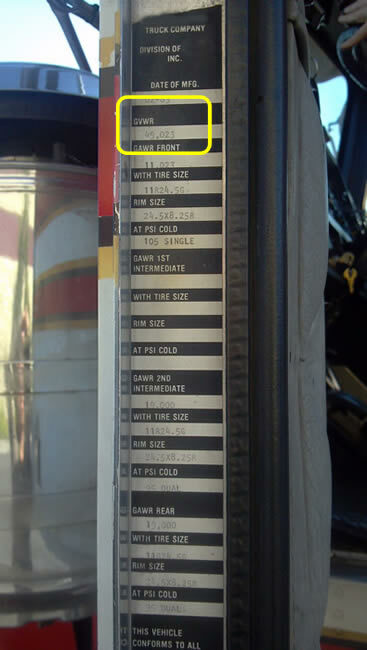 Several of the diesel regulations require information from labels that are attached to your truck or bus. 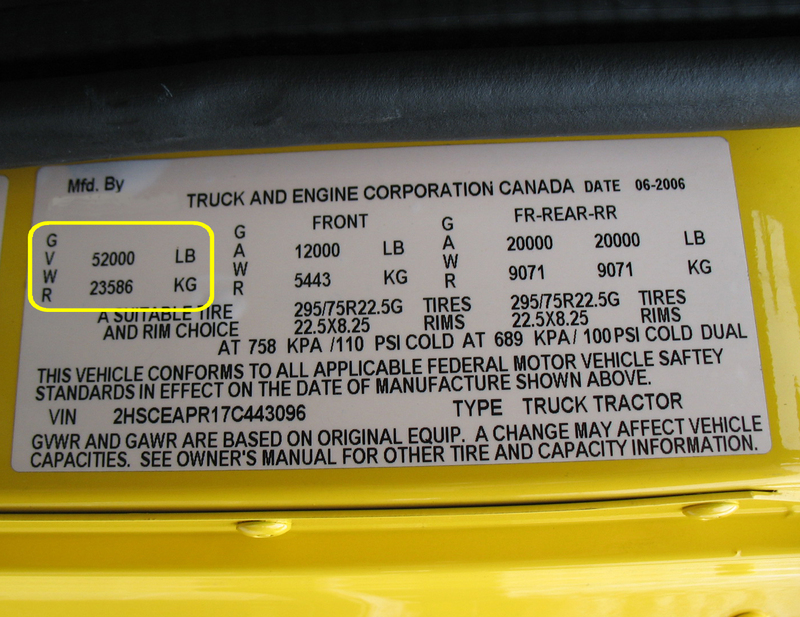 The gross vehicle weight rating (GVWR) is assigned by the vehicle manufacturer and represents the maximum weight of the vehicle and what it can carry when fully loaded. 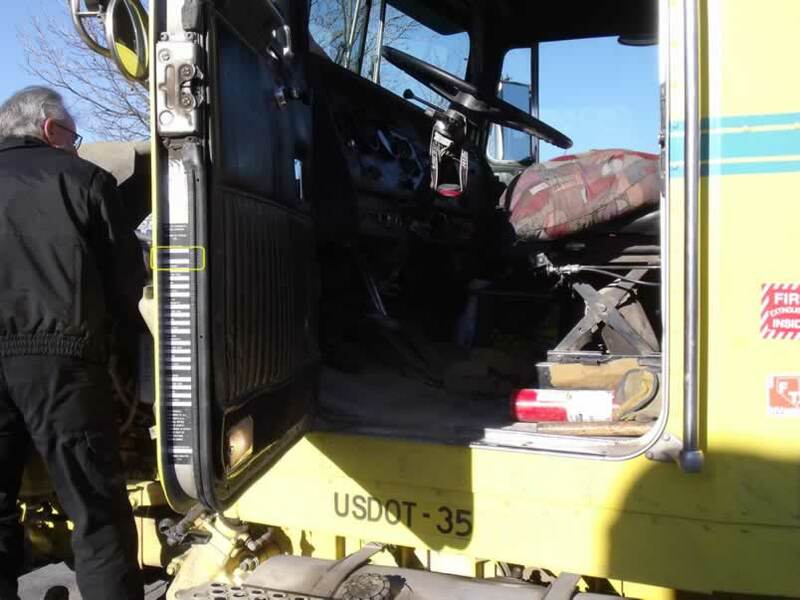 The GVWR includes the weight of the vehicle itself plus fuel, passengers, cargo, and trailer tongue weight. It may sometimes be listed as gross weight. 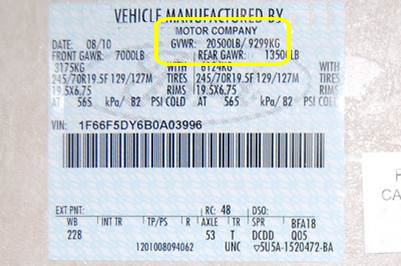 The GVWR is not the same as the unladed weight, gross combined weight rating, towing weight rating or registered weight rating. 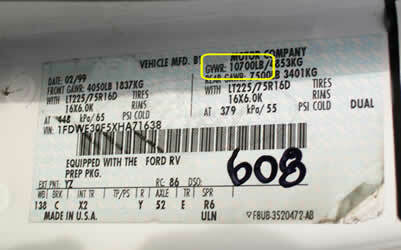 The manufacturer's original GVWR label is commonly found on the truck door jamb or on the inside of the door. Below are some examples. Also we have a short video called "GVWR Label: Where is it located?" 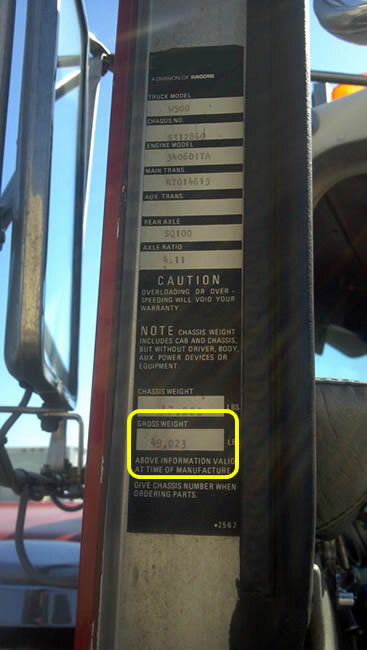 We have another webpage for engine or emission control labels (ECL).